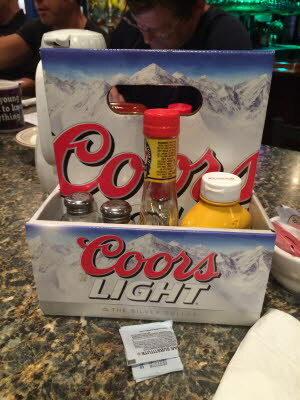 It's condiments. In a beer carton. At Small Group.